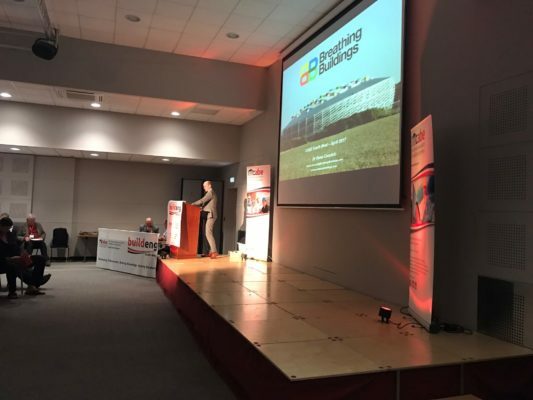 Breathing Buildings were recently invited to give a talk at the CABE (Chartered Association of Building Engineers) South West Regional Conference. This years event was held at the striking Haynes International Motor Museum in Somerset. 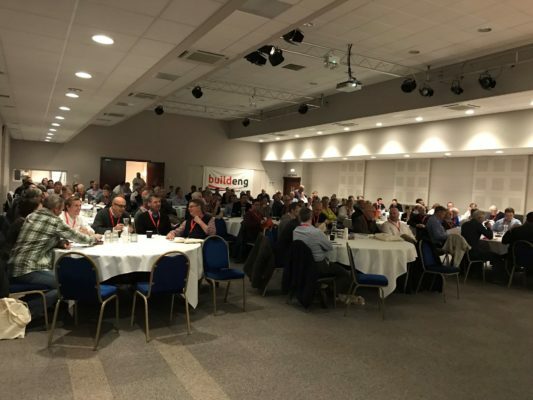 The event was attended by 150 Architects Surveyors and building control officers from across the South West. To kick off the days talks, there was an update on Construction Regulations from Richard Harral from the Department for Communities and Local Government and a presentation by Anthony Burd from BSI on the Future of Standards following Brexit. Our Presentation, given By Dr Owen Connick covered how ventilation in schools will change when the revised BB101 guidelines come in to effect in summer 2017. Overheating was highlighted by one of the delegates as a major challenge in schools, something that Breathing Buildings can model and advise on how to avoid. Rooms can be modelled to CIBSE Guide A, TM52 as well as the latest BB101 guidelines. Following the talk, as is tradition, Dr Owen Connick was presented with a pocket watch by the President of CABE, Ben Bradford. We look forward to sharing knowledge with CABE members at future national regional events. Volution Ventilation UK Limited trading as Breathing Buildings. Company Number: 11352032.